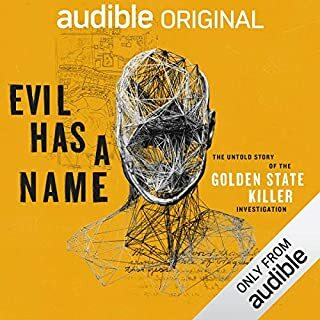 For those of you that are familiar with the Golden State Killer story already, this book provides insights into the investigation process, victim impact and a taste of who this person is. There is still an enormous amount of this story to unfold. It feels like it is just the beginning again. It is not just the story that is compelling, we also see the importance of the introduction of DNA testing and matching and public DNA databases. This science has turned criminology around and this case is a profound testament to it. This is essential listening for anyone who wants to understand and follow the arc of this incredible story and this despicable person.